The SUPER BROOM SCM 400 Self Propelled Sweeper is designed to be the most innovative self propelled sweeper on the market. 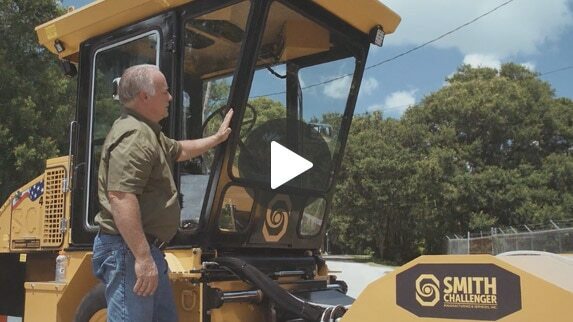 The features were designed with years of industry experience. 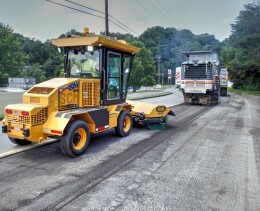 From the visibility in the cab to the accessibility and ease of engine maintenance, the SCM 400 self propelled sweeper is an all around valuable asset to road construction projects, including milling operations, road resurfacing, airport runways, and a variety of other construction site needs. 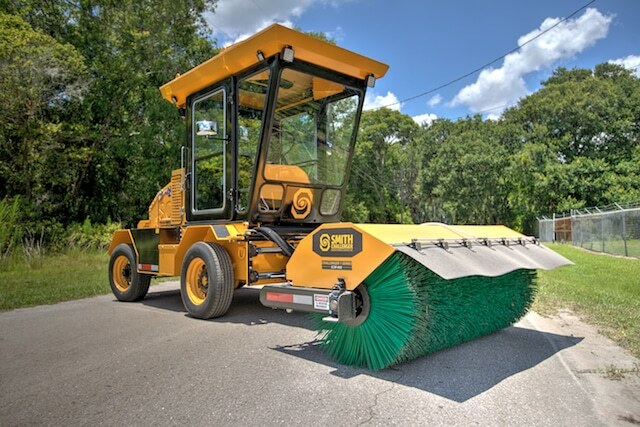 Powered by a Kohler 74 HP Tier 4 Final Engine the SUPER BROOM SCM 400 weighs in at approximately 8200 lbs and has an overall length including the brush assembly of 16’6”. 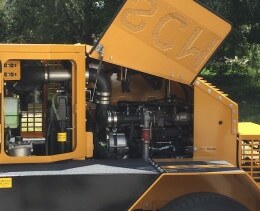 Enhanced visibility from the front and rear of the cab, and a self contained A/C unit with heat add user comfort. 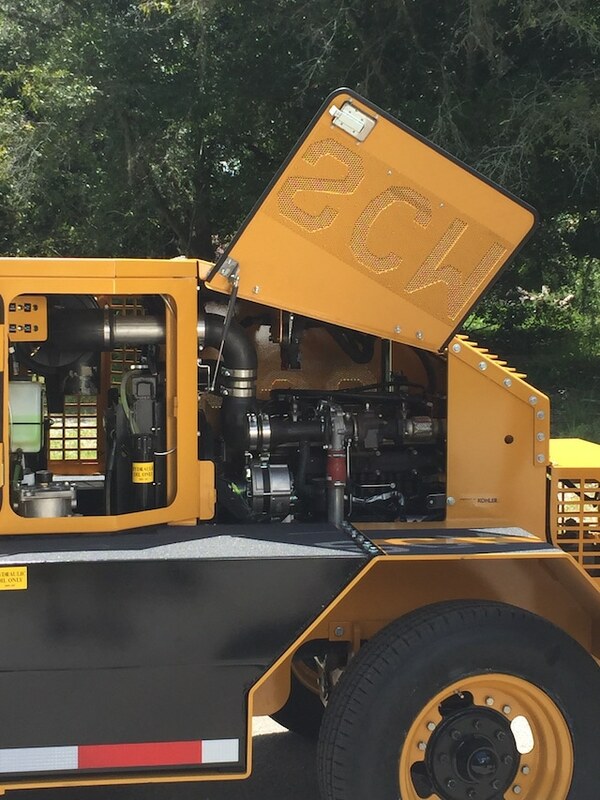 Featuring an easy cab clean out design and cab tilt for easy maintenance, a brush variable speed control allows the operator to be in control of the sweeping operation. 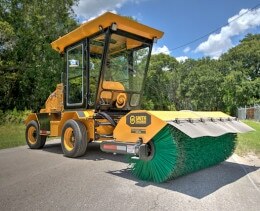 With many features patent pending including the brush float system, which greatly extends the life of the brush.